The Tableegh Committee of Husaini Islamic Centre, Peterborough presents the Adult Learning Initiative (A.L.I. 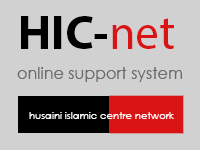 ), modular higher Islamic education courses taught by experienced lecturers. 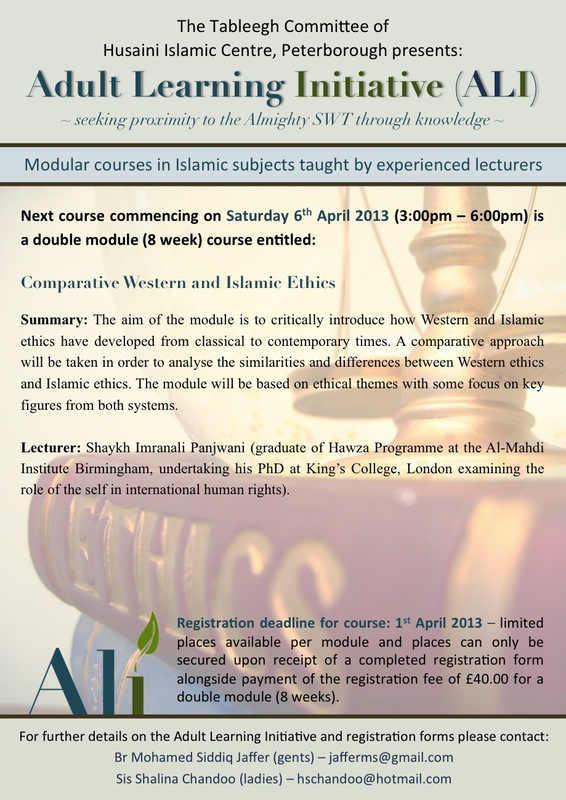 The second course will Insha Allah launch on Saturday 6th April 2013 and will be an 8 week (double module) on Comparative Western and Islamic Ethics taught by Shaykh Imranali Panjwani (see poster for further details). Places are limited and will be reserved only upon receipt of payment. Please click here for a registration form.